If you have been involved in an accident where you were hurt or seriously injured because of the negligence of another person, call us for a free consultation. Having a Bay Area personal injury attorney on your side can help you get money for your medical bills you might not get. As your lawyer, our job is to make sure your rights will not be violated and that you receive the compensation that you deserve. Here at Mastrangelo Law Offices, our lawyers know personal injury law inside out. We have been helping inured people for over 30 years. 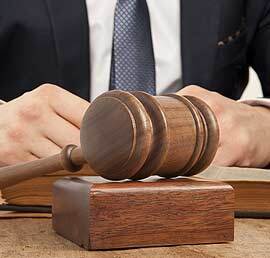 Not only that; every aspect of the case will be investigated properly by a reputable personal injury lawyer. No matter where you are in the East Bay, from Pleasanton to Richmond or Oakland to Livermore, you can be assured that our lawyers have access to expert medical witnesses that can reinforce your case. A personal injury attorney with over 30 years of experience on your side will have the skills, and knowledge that can help strengthen your case. Insurance companies tend to mislead you, especially if you have personal injury claims. When You file a claim against an insurance policy, the insurance company will do everything it can not to pay that bill. They are a business to make money, not give it away. The Lawyers at the Mastrangelo Law Offices know how time consuming a personal injury claim is. Having an East Bay Area personal injury lawyer who can provide you with professional legal representation, especially in instances where your injuries restrict activities of your daily life can make a big difference. Remember if we don’t win, you don’t pay and your first consultation is free. If you or someone in your family has been injured in an accident, call today. If you are looking for an experienced personal injury lawyer, East Bay Area-based Mastrangelo Law Offices have a team of highly-skilled and well-trained law professionals backed by years of trial experience. We provide our clients’ cases the undivided attention they need for them to win. If you have been involved in an accident at work where you were hurt or seriously injured because of the negligence of another person, call us for a free consultation. Having a Bay Area personal injury attorney on your side can help you get money for your medical bills you might not get. As your lawyer, our job is to make sure your rights will not be violated and that you receive the compensation that you deserve. Here at Mastrangelo Law Offices, our lawyers know personal injury law inside out. We have been helping inured people for over 30 years. Not only that; every aspect of the case will be investigated properly by a reputable personal injury lawyer. No matter where you are in the East Bay, from Pleasanton to Richmond or Oakland to Livermore, you can be assured that our lawyers have access to expert medical witnesses that can reinforce your case. A personal injury attorney with over 30 years of experience on your side will have the skills, and knowledge that can help strengthen your case. Insurance companies tend to mislead you, especially if you have personal injury claims at work. When You file a claim against an insurance policy, the insurance company will do everything it can not to pay that bill. They are a business to make money, not give it away. The Lawyers at the Mastrangelo Law Offices know how time consuming a workplace personal injury claim is. Having an East Bay Area personal injury lawyer who can provide you with professional legal representation, especially in instances where your injuries restrict activities of your daily life can make a big difference. Remember if we don’t win, you don’t pay and your first consultation is free. If you or someone in your family has been injured in an accident, call today.